I grew up eating marmalade and toast for breakfast so this recipe brings back some great memories. It’s tart, tangy, and delicious on biscuits. 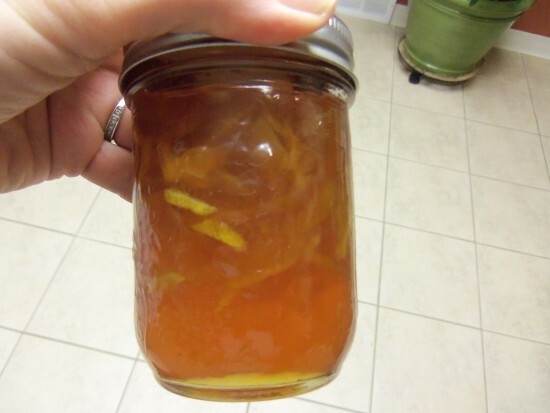 I think pink grapefruit marmalade gives the extra flavor needed for an amazing tasting marmalade. 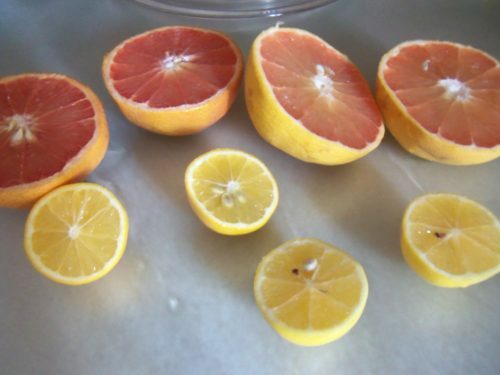 Slice grapefruits and lemons in half and squeeze into a large pot. Take the white ribs and seeds out of the middle and place in a cheese cloth (or clean old white t-shirt). Slice the skins into fine strips and add to the pot. Hang cheese cloth with seeds and membranes over the side of the pot where it is submerged in the water. Cook over medium/low heat, stirring until sugar is dissolved. 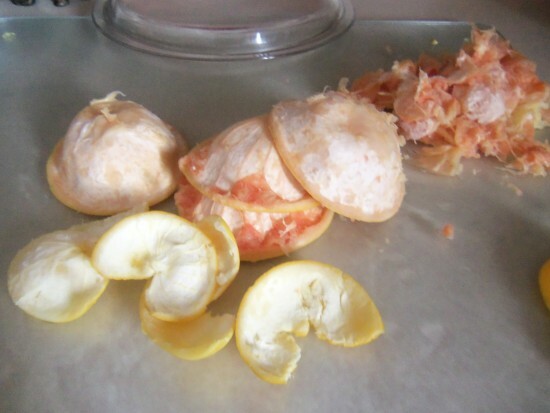 Continue cooking until rinds are soft (1-1/2 to 2 hours). 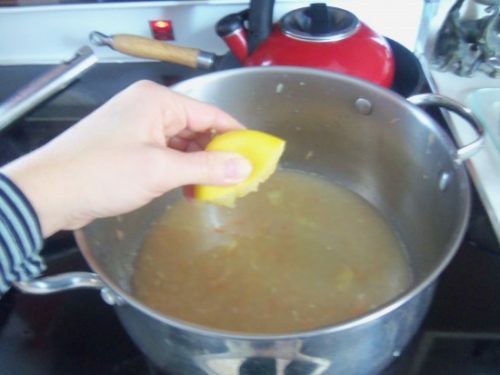 Remove cheesecloth, carefully squeezing out all remaining liquid into the pot. Discard contents of cheesecloth. Increase heat and bring mixture to boil. When thermometer reaches 220F it is at jelly stage and ready to set (about 20 minutes). Carefully ladle into canning jars. Leave about ¼ inch head space so expansion won't break the jar. Seal jars and put in a water bath. Let jars sit in boiling water for 10 minutes. Remove jars from bath and allow to cool before storing. Add sugar to taste. Cook over medium/low heat, stirring until sugar is dissolved. Continue until rinds are soft (1-1/2 to 2 hours). 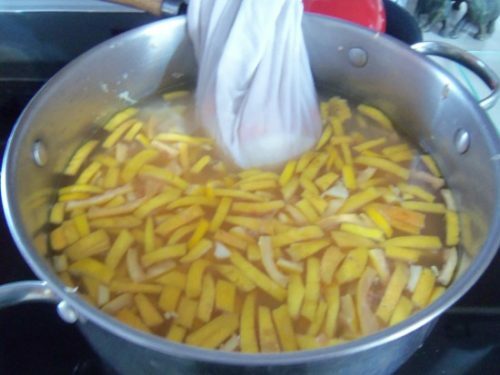 Remove cheesecloth, carefully squeezing out all remaining liquid into the pot. Discard contents of cheesecloth. Carefully ladle into canning jars. Leave about 1/4 inch head space so expansion won’t break the jar. Seal jars and put in a water bath (I just washed out the same pot and filled it with water to boil). Let jars sit in boiling water for 10 minutes. Remove jars from bath and allow to cool before storing. Enjoy! Thank you. I was very happy with how it turned out. 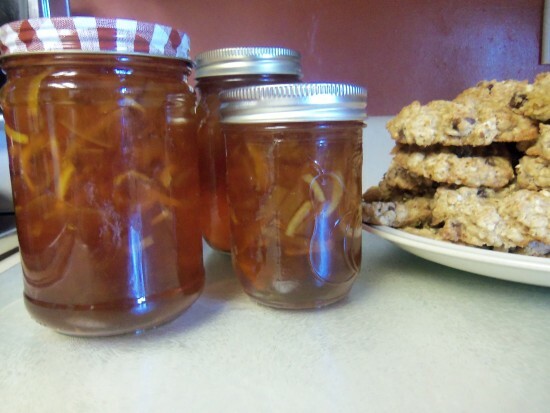 Good Morning Kelly, I have just popped over to visit you from Miz Helen’s Country Cottage as I was interested to see how you made your grapefruit marmalade. 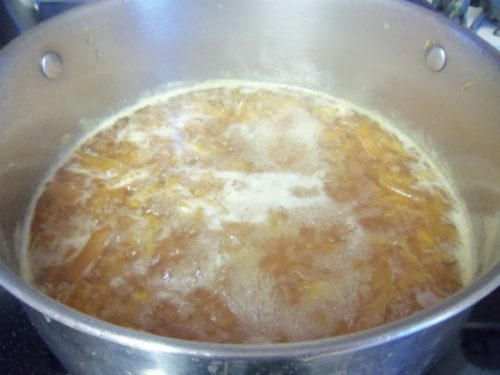 I use the same method as you, but after the marmalade reaches the correct temperature, I place in sterilized jars and seal with a wax disc. I have never placed the filled jars in a water bath….. is this to do with contamination? It is lovely to meet you and I am now following you via email. Welcome, Daphne. I’m glad you found us. 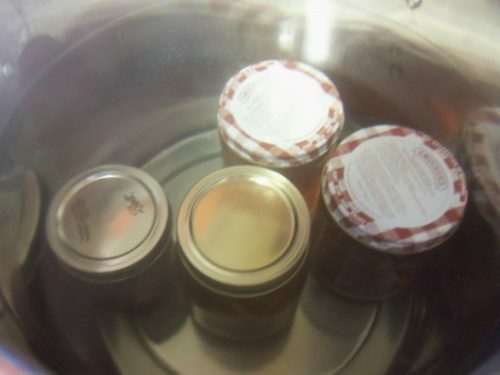 The hot water bath is to help the jars seal without the wax. As they cool, the lids will shrink and create a seal.